The northwest’s premier showcase of the BMW 5 series. 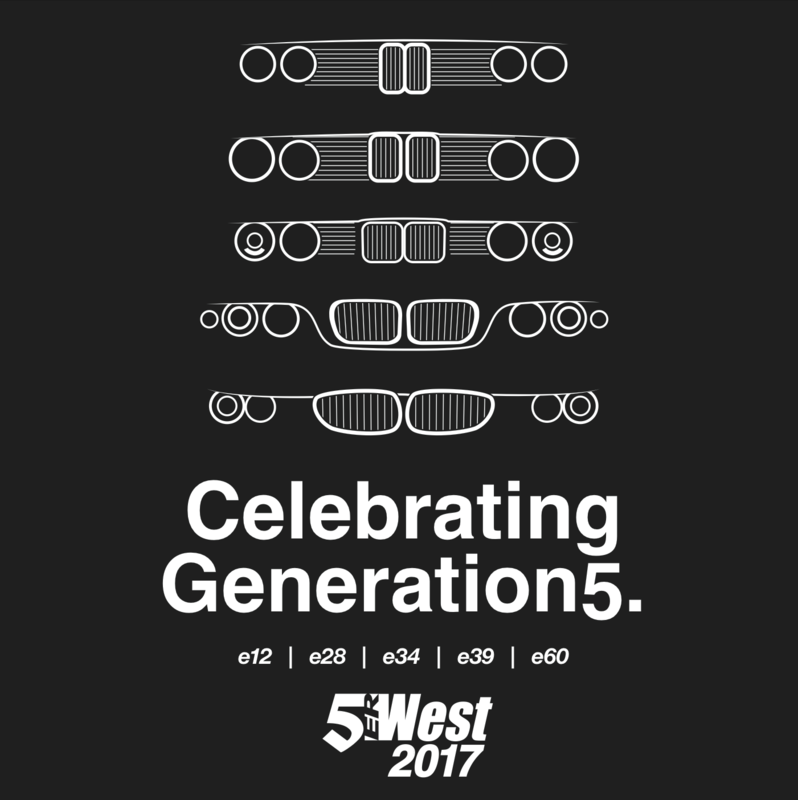 5erWest 2017 is this weekend! We’ve been working hard over the last few months and are super excited to see light at the end of the tunnel! In just a few days, the event we’ve all been waiting for will be here! 5erWest 2017. There’s still time to register if you haven’t yet. Go to the “register” link above! All of the location details are in the “Event Info” tab. Should have everything you need to know, but I just want to throw out a couple of things. Clackamas Inn has a couple rooms left, so if you need one and haven’t gotten one, get on it now. It’s the best value you’re going to find in the area and those rooms will be sold to other people looking for a clean, comfortable lodging experience in the greater Portland metro area. Just like last year, we will have the awesome Bro Dogs truck serving up awesome gourmet hot dogs and burgers at the Show and Shine on Saturday. They were a hit and we are stoked to have them back this year. On Saturday, we will also have some killer items in the raffle from Moosehead Engineering, Einhorn Industries, 2M Shift Boots, BMW Portland and others including a huge, handmade quilt fit for the most serious of BMW enthusiasts – it’s the ultimate quilt experience. We will also, of course, have our awesome 5erWest 2017 shirts with the 5erWest logo on the font and featuring artwork from 5erWest attendee Aaron Thomason of Thomason Design on the back. Printed on high quality, pre-shrunk Gildan Ultra-Cotton shirts, they aren’t only comfortable, but they fit real humans – not just mannequins. This entry was posted in 5erWest 2017 by Chris Kohler. Bookmark the permalink.